La Rioja is a Spanish autonomous community located in the northern part of the Iberian Peninsula. La Rioja was divided into the administrations of Burgos and Soria until the province of Logroño was created in 1833, changing the name to the province of La Rioja in 1980 as a prior step to its constitution as a single-province autonomous community after the approval of the Statute of San Millán in 1982. 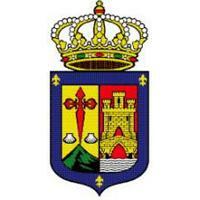 The President of La Rioja is one of the three institutional organs of the Autonomous Community of La Rioja. Below you'll find a chronological list of all the presidents of La Rioja.